Honda CB1100 in the form of CB Concept has shown the first time at the Tokyo Motor Show last year. 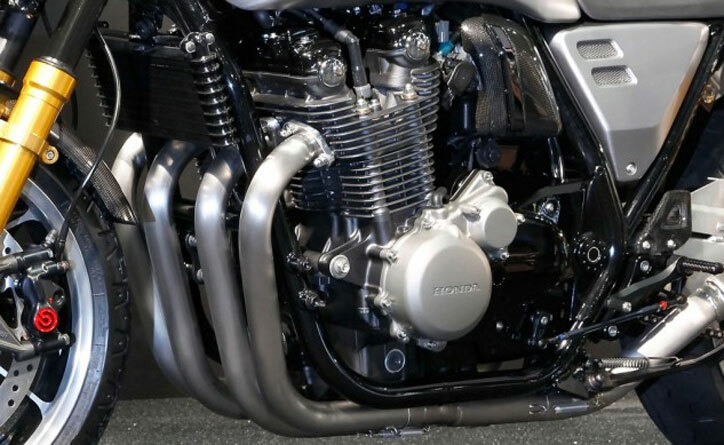 Now the renowned Japanese motorcycle manufacturers have recast in the Osaka Motor Show 2016 as CB1100 Concept Type II. 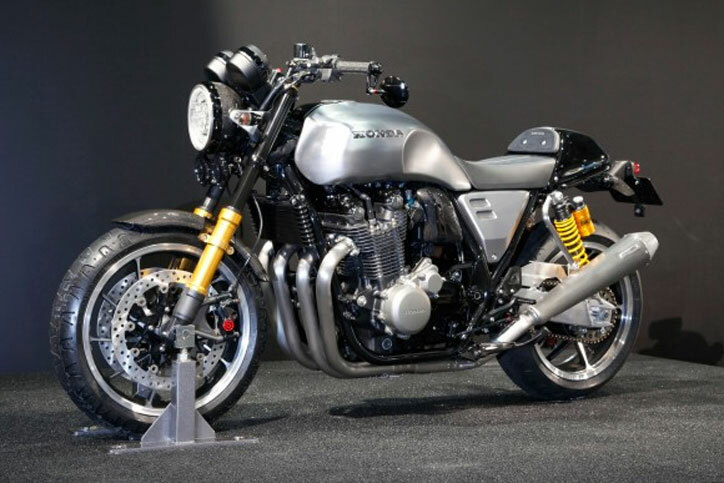 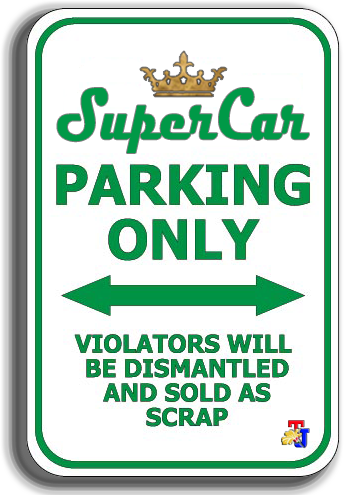 Based on the similar concept with the CB concept last year, but with the choice of café racer style is on the rise. 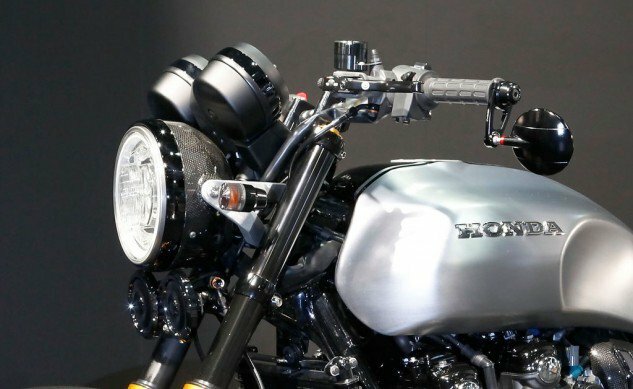 Meaning, the concept is using a machine of CB1100, but the tank is a new form, LED headlights, and a retro style on other components. 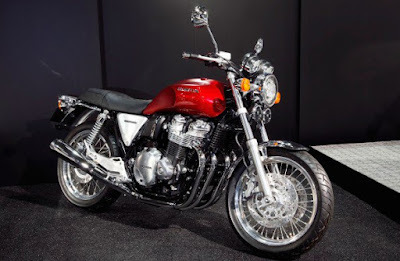 In Type II as well, vintage-style rims size of 17 inches and the front forks use a slender whitewashed gold to support the retro impression. 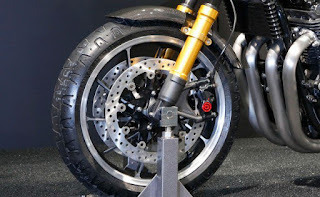 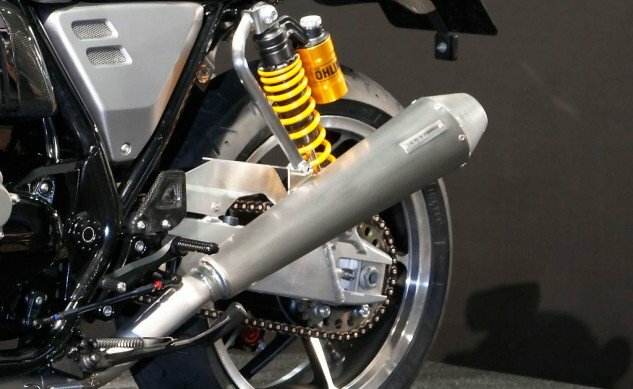 The brake system uses Brembo radial mount products, while the rear seem to use the Ohlins shockabsorber with tubes. Overall style looks like match with today trends, with a single seat tipped bees, a pair of Over Racing exhausts, new side panels and plain aluminum tank. 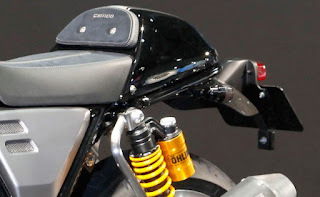 Then there's the rear view mirror at the end of the handlebars, and some carbon fiber components such as the heel protectors, and cover the air filter box, which helped complete the change.